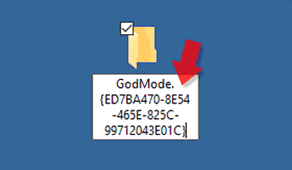 You may already know how to active GodMode in Windows 8 and earlier versions, but now we will see how to activate this mode in Windows 10 since it is still active in this new version of Windows. 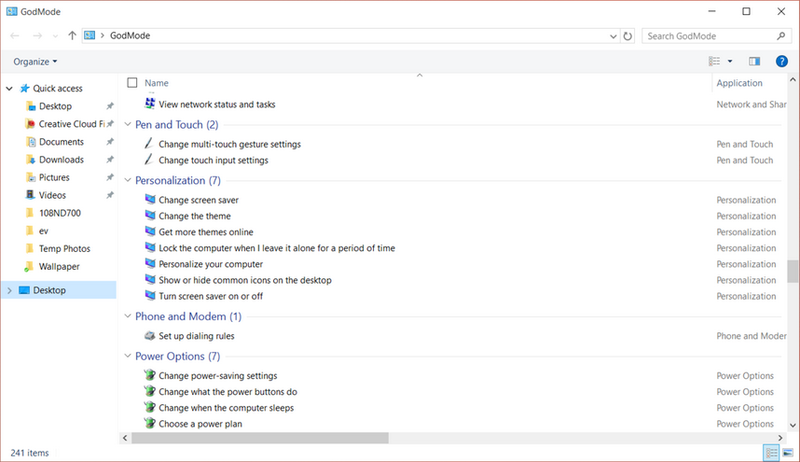 This trick is handy for IT professionals and comes in handy for active management of Windows 10 systems where at a glance you can find all the settings that you may need. Godmode will show you all the configuration options in a complete way and with the push of a button (without having to change menus to find different settings). This process isn’t hacking because it is a functionality implemented internally and officially by Microsoft. The steps to follow are straightforward and simple. The first thing you need to do is verify that you are logged in with a user with Administrator Privileges. Finally, select Administrator from the dropdown and click on OK.
Once you have a user with Administrator Privileges, you need to create a folder whenever you want, for example, on the Desktop. Note: You can modify the name if you prefer. For this, you only have to change “GodMode” without altering everything afterward. As you will see, now the folder has become a shortcut under the name of GodMode. If we double-click on it, we can see how a window opens with a huge number of options. All endless shortcuts to configurations that are also classified. You have a lot of configurations, practically all, just one click in a simple way with this God mode. Note To find the option you are looking for more easily, use the search bar in the upper right part of the window. As you can see it is effortless having all these configuration options at our fingertips. Having these configurations at hand, we will save a lot of time at the time of wanting to execute a task on our computer.